3. Please describe your knowledge of Star Wars? 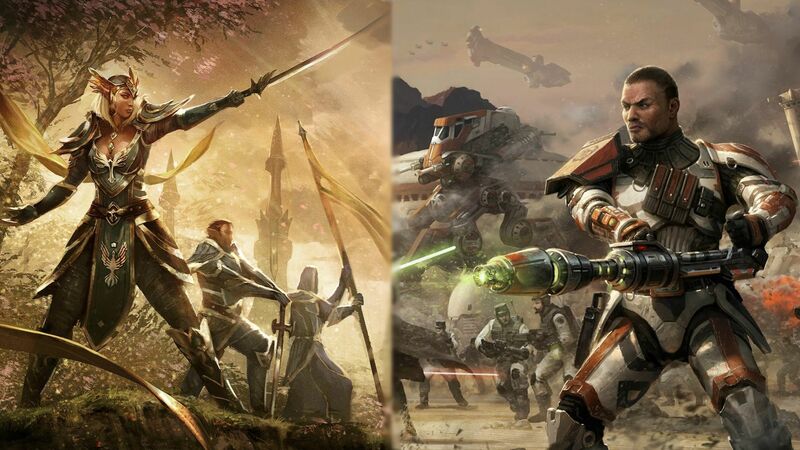 - This is most likely the least positive aspect of my application, aside form the Knight's of the Old Republic and the Movie story lines I'm oblivious. However one of the things that interested me most about your Guild is the offering of a class for Star Wars lore in on of your academy classes. 4. MMO Experince - I've only played WoW, however I never reached any real point of accomplishment nor was I in any significant Guild. However I've extensively raided on my brother's Character in WoW and helped take down Lich King on a 25 man a few months ago, so I'm fine on a PVE front. Just never was able to get into the setting for get all the way to 80. 5. Activity/Role - I guess role depends on how I situate in the Guild, and how well I adapt to the game starting out. I plan on being on Vent servers well before release and helping with anything y'all could possibly need me for, and once the game is released it(and the guild) will most likely envelope a good part of my life. 6. Why do you feel the Army of Light is a good fit for you? - I wanted a heavy, well organized, Republic-centered Roleplaying experience with like-minded people as well as a heavy PVE and occasional PVP presence, I feel I've found that here. 7. What do you expect of the guild? - People to enjoy a game I'm highly anticipating to be incredible with, and something to simply enhance the experience. I have no doubt it will fulfill that role. experience/expectations - Oh god. YEARS of forum role-play, extensive writing experience, RP'ed on WoW a bit. Believe, as it being on of the things that initially pushed me towards y'all, I will be involved in most likely any and all RP events organized. 11. How can you benefit and help the guild? - Not a guild specifically, but I've organized RP forums, been a Game Master, and I'm pretty involved in a few real life organization. I'm a hard worker, so any tasks that generally seem trivial or anything involving organization or role play I'd be happy to assist. 12. How do you define a quality member? - Loyal, honest, dedicated, and a cool head that doesn't initiate insanely overly-dramatic situations. 13. 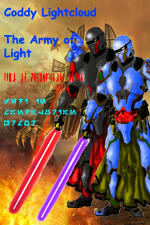 How did you find the Army of Light? - Spotted it on the Forum. the, Charter, Mission Statement, and Rules of Conduct? - Yeah, late last night after work kinda immersed my self and read pretty much everything released on the thread, website, and everything not locked to me on the website. Honor, Respect, Personal Ethics and No Drama? - Absolutely. commit? - Indefinitely, I'm looking for a group of people to remain loyal to through out the game's life span and an organization to contribute to. you think you possess these qualities. - Well, pretty simple. Respect is honoring the fact you are not an all knowledgeable being and treating those above with a certain level of appreciation regardless of a disagreement, and possession of the the class to understand proper etiquette in general situations to not offend those around you. Honor is doing the right thing regardless of any repercussions, bottom line. Loyalty is dedicating your self to a person or organization and all ways putting them first, and never betraying that trust. Maturity is having the ability to handle disagreements as an adult with the goal of finding the best solution, rather than immaturely creating an outlandishly dramatic situation. needed it. If you have never had this experience, tell us what you would do if faced with that situation? - Lol, you just describe me as a person. Let's see, last night I was drivin' down 318 and saw an older man who'd driven his pretty new Mercedes' straight into a ditch. Hooked a chain to it from my truck, pulled him out and then he said 'So I assume you're a tow guy or something? How much?' Let's say he was being less than cordial, but I informed him no charge and drove off. It's kind of in my nature to be helpful, hell I still have scars from when I was a dumb kid trying to play super hero and stop bullies four times my size. Role-play Scenario - Like any good commander I would realize my objectives; completing the objective with minimal casualties. I'd deal with the relay, and avoid any combat. We're not their to pick a fight, however if cornered we'd not back down and eliminate as much of the enemy as necessary to escape. of our guild family - a very important question!) - I'm a pretty simple guy. To be blunt there isn't much to tell. I hate when someone creates a bad situation that doesn't need to be their with blatant dramatizations, and will diffuse them. I try my hardest to help out and work hard, not very interesting to be blunt. Physical Description - Physically, Darius can be slightly intimidating. Tattoo's sleeve his scarred and strong arms, a strong square set of facial features, ratty longer hair usually stuffed under a bandana, and large frame, and a set of piercing gray eyes are his most notable attributes. Personality - Darius does not have the personality of a Smuggler. A much stronger morale compass then his colleagues, he mostly takes security jobs do to his skills as a combatant rather than scoundrel. He is all ways some what of an anti-hero, helping anyone in need but still upholding his cold stand offish attitude. He has great respect for those in the military and those in the Galaxy that simply work hard, however openly insults and blatantly dislikes the upper echelons of society rather it be a crime lord or a politician. Biography - Simply a hard man forged in the gangs and dirty desolate streets of Nar Shadaa he formed a name for himself due to his skill, intimidating image, strange morale compass for his profession, and cold efficiency in combat. Pretty good, and good luck. Hope you get in, good apllication and offcourse we need smugglers... we haven't got many, mostly glowstick carrying guys. Your Application is now Under Review by the Recruitment Council. You will receive a reply shortly, usually within 48-72 hours. Thanks for the obvious effort Darius, and good luck! Though I think smugglers are evil(jk), I am very happy to have another blaster wielder in the guild. *Salute* Good luck. Theoretically 'Smuggler' could be a blanket term for a combatant/explorer not under any officially military rank and file. Believe me, my guy's got a heart of Gold and loyalty for the Republic. Just with more style. Lol, thanks guys. I hope I get through. Occasionally. He never looks for a fight without good reason. More like.. An honorable warrior who works hard to make a living, but won't compromise himself to do so and won't let something he feels isn't right to continue. The Republic contracting him allows him to do both. Plus, not caring for or trusting the leaders of a society doesn't mean he doesn't love the society it self. Wow, great application. I hope you get in. Good luck Bro, always could have another smuggler. Hope you get accepted you app looks good, we could always use another smuggler to do the jobs a Jedi wouldn't want to be associated with. With that successfully completed, you will report to the Smuggler branch leader (Commander John Shepard) for general class branch training and to Generals Durron or Vyynn Randos for Squadron/Platoon assignment. Squadrons will act as your home within your home and help acclimate you to guild life and try to answer any questions you may have. Welcome to the guild Darius and good luck on your membership trial! Thank you very much. I hope I do well here.